Michelin designed the PLR (Poids Lourd Rapide, or fast semi truck) in 1972 as a way to test out truck tires at high speeds without taking the the risk of using an actual truck. The general idea was that if a tire blew out, the engineers didn’t have to worry about losing control of their vehicle. 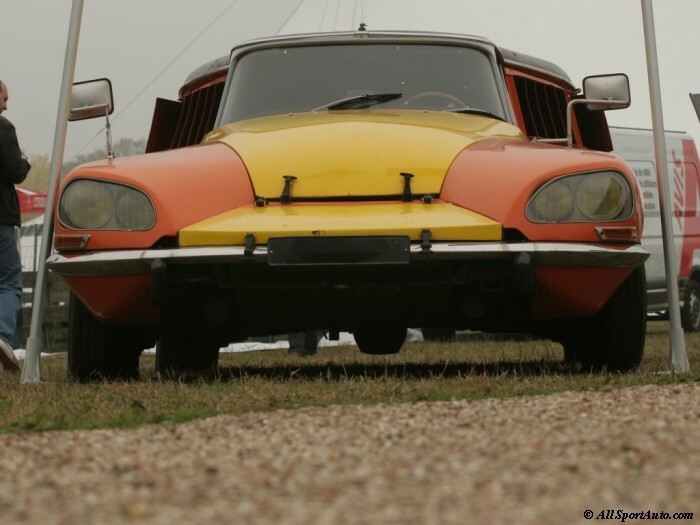 Nicknamed “milles-pattes”, or “centipede” in French, the PLR borrowed a lot of parts from the Citroën parts bin. This was not as random of a choice as it seems: Michelin owned Citroën at the time so it had easy access to the parts bin. 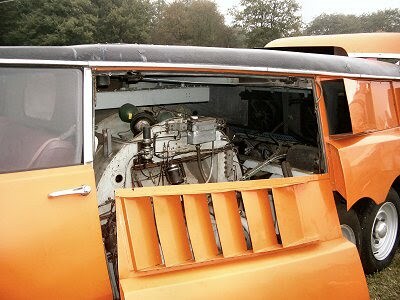 The vehicle’s ten wheels and hubs came from a Citroën H van and a good part of the bodywork was borrowed from the DS Safari. Michelin’s engineers fitted two Chevrolet 350 V8 engines in the back of the PLR. One drove the car and the other drove a mid-mounted truck wheel that was fitted with a test tire. The rear six wheels powered the car while the front four steered it, creating a complex but effective setup. According to period Michelin records, the PLR had a top speed of approximately 180 kilometers per hour (111 miles per hour), which was not bad at all for a vehicle that weighed about ten metric tons. Please note that we did not take any of the above photos and do not claim credit for them. >Why small block Chevies? 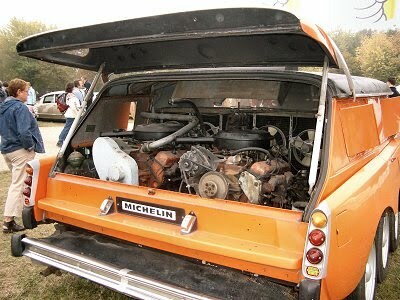 If they owned Citroen, surely they had access to a comparable Citroen engine. Oh wait, I forgot, we are talking about Citroen… they only make crap. Even so, I'd have thought that they'd want to use a European engine to avoid having to have two sets of tools and fasteners to maintain it. Surely the Germans had something they could use. >Citroen only makes crap? Would you care to explain that? >I remember seeing plastic models of this thing as a kid. I never realized it was an actual working vehicle. Just thought it was some customizer's idea of a cool car. >Citroen certainly doesn't or didn't only make crap. Many of their cars were cheaply made, because they're economy cars. For decades they were a leader in automotive technology with their unique suspensions, pioneering use of front wheel drive, and unique styling. Chevrolet engines were likely used because they were inexpensive, simple and powerful and also can be purchased fairly easily as a crate-motor. While at the time, they would have likely had easy access to Maserati engines, their complexity and expense would have been prohibitive. I'm sure the difference between metric and SAE fasteners would not have been much of an issue as English cars, pre-early-1970s Volvos, and others used SAE. Much like the way American mechanics keep metric and standard tools and fasteners, Citroen mechanics surely had them already anyway. Pingback: So a cockroach on roids becomes a millipede?